No matter who you are, Egypt is a place that gets brought up a lot. Whether it be about the Pyramids or the powerful Pharaohs that used to rule this land, Egypt is truly an amazing place to visit. Although it’s a must-visit place as it is, visiting on a luxurious cruise ship adds to an already fantastic experience. It’s clear to see that Egypt is a popular place to visit. With anywhere from six to eight million people visiting this location on a yearly basis, Egypt is one of the most visited tourist destinations you can go to in the world. There isn’t a single reason why all of these people choose Egypt as their holiday destination. From the number of iconic landmarks to some of the most luxurious foods you’ve ever tried, Egypt is a treasure thats holds an adventure that anybody can enjoy. It’s true to say that Egypt has an extensive history that goes way back. This goes on thousands of years into the past, at around 8000 BC. People were drawn to Egypt as the Nile River provided the nourishment that is essential for life to thrive, especially in the warm climate that Egypt has. Around three thousand years later, in 3200 BC, the Egyptian culture that is well known began to grow. Various hieroglyphics can be dated back to this time, as it was the time that Egyptian art, language, religion and customs flourished. One of the most important things that happened in this period of time was the formation of one united kingdom that was founded by King Menes. The number of dynasties that were created ended up ruling Egypt for over three millennia. Between 1550 BC and 1070 BC, Egypt was seen as a superpower that had expanded internationally. During this period of time a number of pharose that are well known by history had a lot of power, ensuring their names were remembered in the History books. When you look at some of the superpowers that once ruled the world, you’ll find that Egypt had a some sort of influence. One of the more notable sides was the Roman Empire, who many a time attempted to conquer Egypt. The famous roman Mark Antony also married Cleopatra VII, which has a huge impact on the small army he commanded. This history is what attracts a lot of people to Egypt. There are a number of tombs where famous rulers of Egypt were buried which can be visited by anyone. That’s not even mentioning visiting the jaw dropping pyramids, both inside and outside. Getting up close and personal with History is an experience within itself. If you want to experience what it must have felt like to discover the tombs of the previous rulers of Egypt, then the Valley of the Kings is definitely a must-see location. Over a time period of around 500 years, a number of tombs were created for both Pharaohs and powerful nobles that had once ruled over the land. There are over 63 tombs that are located on the west bank of the River Nile. These tombs range in size, with some being simple one-chamber tombs, while others have a complex design of 120 chambers. It’s a great place to be amazed with how much detail these chambers had, even though they had limited resources. You’ll be astounded at just how well-preserved a number of these tombs are. One of the most interesting tombs is of King Tutankhamun. Even though he was one of Egypt’s most powerful rulers, he had a tomb that was small, especially compared to his status. This has led people to believe his death occurred before a royal tomb was created, meaning he was buried in someone else’s tomb. If you visit this tomb you do have to pay extra, but anybody that has ever visited goes on to say that it was worth every penny. Depending on the cruise ship you go on, you may find that you actually sail down the River Nile, although you may prefer to go on one of the purpose-built boats. You can simply lounge around, soaking up the sun and ambience of this amazing river, all whilst enjoying a cocktail. You can expect a large selection of foods catering to a number of tastes. Whether it be traditional Egyptian foods or something from another part of the world, you can be sure that it will be of the highest quality. 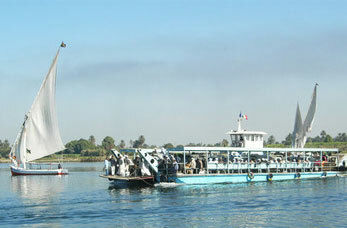 As you sail down the River Nile, enjoy the leisurely speed you keep. One thing to understand is that it isn’t about going from A to B as fast as possible. It’s all about taking in the sights of Egypt whilst being as relaxed as possible. People that have had the joy of this journey have stated how it felt like a day in heaven. If you’re interested in the history behind Egypt, the Great Pyramid of Giza is one of the oldest and largest that you can find in the world. One of the most interesting facts about this pyramid is that it’s the oldest of the Seven Wonders of the Ancient World, and one of the few that is still mostly intact. 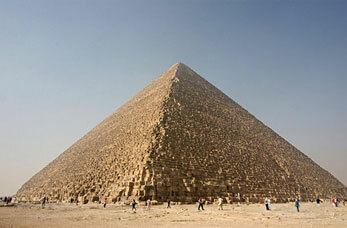 With the pyramid being 481 feet tall, it was one of the tallest man-made structures for at least 3,800 years. This was the pyramid’s original height, as a lot of the casing stones are no longer there. What you see when you see the Great Pyramid of Giza is the underlying core structure, although you can spot some casing stones around the base. Something that has been the subject of many a debate over the years is how it was built. They estimated that it would have taken anywhere between ten to twenty years to do this sort of project, but the actual means of construction are unknown. With it being created around 2560 BC, there’s a lack of information on the construction processes. Inside of the pyramid there are three known chambers. The lowest chamber is actually cut into bedrock, up to an area which was clearly unfinished. What is known as the King and Queen chamber is situated higher up the pyramid. It’s the only Egyptian pyramid that has both descending and ascending passages. It’s well reccomended that you visit the Great Pyramid of Giza, both from the outside and the inside. When inside you can imagine what it must have been like for the first looters and explorers that discovered this astonishing place. One of the popular locations to visit in Egypt is Karnak Temple Complex. There are a number of old and decaying temples, chapels, pylons, and a number of other buildings that are amazing to visit. 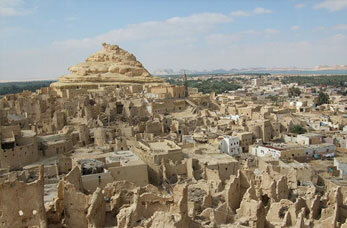 The buildings situated here are some of the oldest in Egypt, dating back to some of the earliest periods in time. The whole complex is a large open air museum, and is actually one of the largest ancient religious sites you can find anywhere in the world. There are four main parts, and only the largest section is available for the public. The section that is open to tourists is the Precinct of Amun Re. The Precinct of Amun Re makes up 250,000 m2 of space. It’s possible to spend hour after hour here – that is if the heat doesn’t get to you first. When you look up at the massive columns and the different intricately detailed hydro plus, you’ll be amazed at how much the Egyptians created with limited resources. If you have the chance to travel somewhere that’s a bit further out than other Egyptian tourist locations, then Siwa Oasis can be a great place to visit. It’s one of Egypt’s most isolated settlements, with over 23,000 people living there. Although the surrounding area is covered in sand, you’ll be sure to appreciate this paradise. It truly is a fascinating location to visit. Alexander the Great visited Siwa Oasis back during his campaign to conquer all of the Persian Empire, giving it historical significance. The remains of an oracle temple can be found on the Gebel al Mawta, which translates to the Mountain of the Dead. Another thing that attracts people to this location is Fatnas Island. This is a palm tree filled area which is on the edge of a lake. Being able to relax in the coolness of a lake although you’re surrounded by desert is like no over experience you’ve ever had. If you want some of the most stunning views that Egypt has to offer, then Ras Muhammad National Park is a great place to visit. 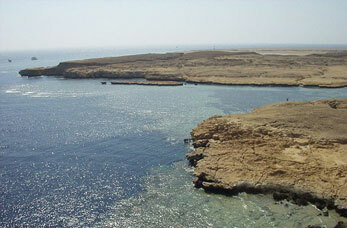 It’s located to the south of Egypt, just south of the Sinai Peninsula. The area is protected as a marine reserve, meaning that there is no fishing allowed in this area. The park covers an area of 480 km2, with 345 km2 of that being over water. There are two islands, Tiran and Sanafir that are both possible to swim to. You can also discover underwater caves that can only be accessed by swimming. There’s around 1 hectare of forest cover as well. Around 150 m inland, there are numerous open cracks in the land which have been caused by earthquakes. Within these cracks, you can find pools of water, with some having a depth over 14 m.
You can be sure to get a tan here as well, as it has a dry climate and has very little rainfall during the winter months. During the peak of summer, temperatures can go higher than 40 oC, and lows of 27 oC. During winter, daytime temperatures will be as high as 23 oC and lows of 14oC. The main attraction is of course, the ecology. Around and close to the shoreline you can find a coral reef. Within this reef there is 220 species of coral. You can find the coral reef anywhere between 50 to 100 cm below the actual sea surface, and in some places there’s a width of either 30 or 50 m.
In the whole of Muhammad National Park there’s over 1000 different species of fish, more than 100 species of mollusc, 25 species of sea urchins and even 150 species of crustaceans. You can expect to find a number of turtle species as well. If you’re into the diving experience, just off the coast of Ras Mohammed is the wreckage of the SS Thistlegorm. The explosion that sank the boat blew up most of the midships superstructure, making the wreck incredibly accessible for any diver. Divers from all around the world are attracted to this location due to all the cargo still being there. You can see boots, motorcycles, rifles, airplane wings and engines, and even a steam locomotive. A number of animals can be seen around the vessel, such as Lionfish, Moray eel, Sea turtle Crocodile and much more. It’s definitely a place to visit, winning numerous awards as being a great place to go diving. Egypt is truly and amazing place to live. There’s just so much to take in that it’s impossible to do it in a single day. Whether it be enjoying the sights of the ancient pyramids, or simply relaxing by the beach, there’s always something to do. Visiting this location by cruise ship can be an excellent choice. Following in the footsteps of famous pharaohs and conquerors is a thrill, and it can be done in the comfort of a luxury liner. If you want to discover Egypt, look at the Middle East cruises we have on the destinations section.